zomBlog: I drew a picture! I think it's a definite improvement compared to my other work. It was partially inspired by the original District 9 alien concept when they had tentacles on their faces and the rest was all random doodles. 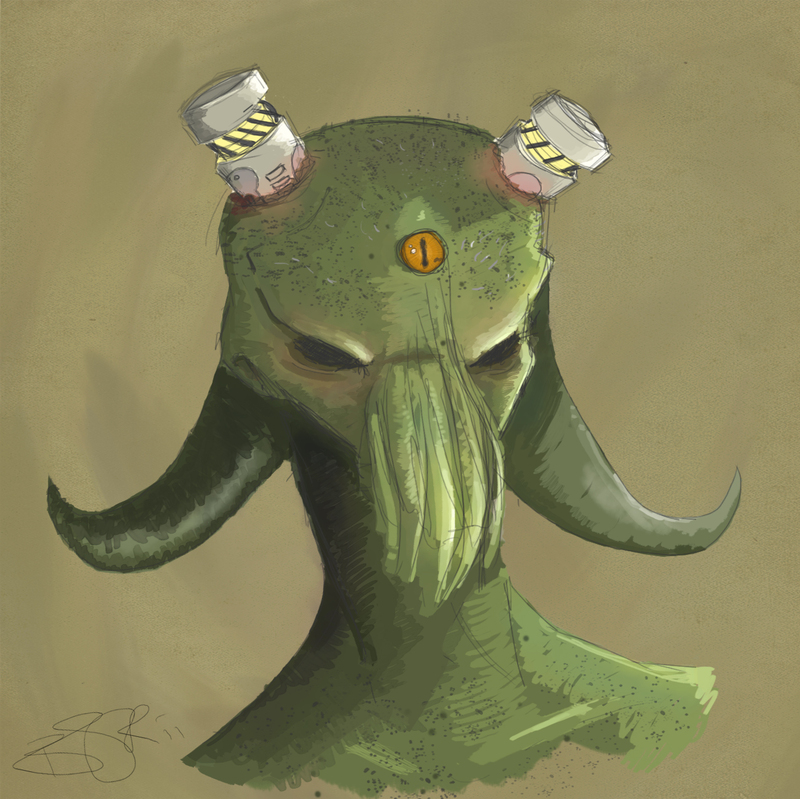 I think I came up with some silly back story to the canisters in the head being devices that ease the creatures brain pressure. They need this because they developed so quickly that the rest of their body hasn't had a chance to catch up with the size of their brain. But that's just an excuse to draw things sticking out of an aliens head.